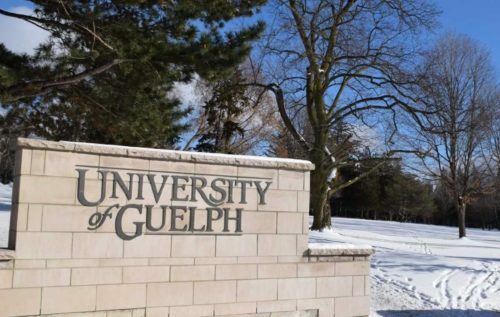 Following today’s unveiling by the Ontario government of new policies on tuition, student fees and student assistance, the University of Guelph will be determining how the changes will affect the University’s budget planning process. The changes involve university and college tuition levels for all funding-eligible enrolment; student ancillary fees; OSAP award amounts; and the repayment of Ontario student loans. Specifically, under a new tuition framework, colleges and universities are required to reduce tuition fee levels by 10 per cent in 2019-20 from those of 2018-2019. Under a tuition freeze, tuition fees for 2020-21 must remain at 2019-20 levels. International tuition is not affected. A new ancillary fee classification framework establishes which types of mandatory ancillary fees schools may charge and which types may be charged only if students have the option of “opting out.” At U of G, students are always consulted about ancillary fees via student referendum. OSAP changes are intended to ensure the program addresses students with the greatest financial need, according to the government announcement. Changes include elimination of the non-needs-based portion of the Ontario Student Grant and reduction of the associated threshold. Changes to the student loan program include new loan collection tools. “U of G and all Ontario universities are committed to ensuring accessibility and to nurturing student success,” said U of G president Franco Vaccarino. The government plans meetings with Ontario colleges and universities to discuss guidelines for implementing the new tuition and ancillary fee frameworks and for compliance and reporting. “The University of Guelph is committed to ensuring the success of our students. In the coming days and weeks, we will make decisions on how best to ensure that success,” Vaccarino said. U of G administrators are analyzing the effects of the changes on budget planning, including the impact of new tuition regulations on a preliminary budget to be presented to Board of Governors in April. Before that presentation, the University will hold open community discussions and town halls; information will be posted on the University’s homepage in advance. “U of G is not alone; all Ontario universities face similar budgetary challenges,” Vaccarino said.